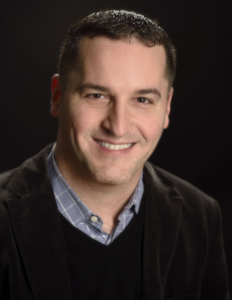 I chatted with Roberto Buso-Garcia about the Saul Zaentz Fund at Johns Hopkins University. Q: When did you get interested in film? Oh boy.. ::laughs::. Started writing short stories in the third grade. Q: What is your favorite film of all time and why? Oh, I’m not answering that. ::laughs:: I love movies that WORK. Movies that surprise the audience. It doesn’t matter the genre. Q: What is the hardest part of being in the film industry? It’s not different from other jobs as you might think. I would say production and lack of access to the right people to get your projects off the ground. Q: What is it like working for Johns Hopkins University? It’s great. It’s an exciting time to live in Baltimore. There’s a future here for audio and visual production. There are tons of incredibly talented people here with amazing ideas. The hardest part is trying to help him their visions. Q: What is the goal of the Saul Zaentz Fund? To identify, empower, and embolden people who have great ideas for films, documentaries, or any kind of audio/visual art. We bridge the gap of financial and human resources, and connect them with the filmmakers. We bring people from Los Angeles, New York City, Buenos Aires, Paris, and Mexico City to connect with the media makers here in Baltimore. All of those projects HAVE to be filmed in Baltimore. Q: Would you like to see more of these programs developed city wide? The more the merrier! We want to build a sustainable community of visual artists here in Baltimore, so future generations can see and hear different ideas. 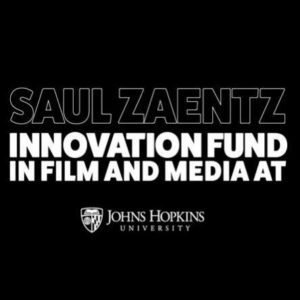 The Saul Zaentz Fund is NOW accepting admissions!